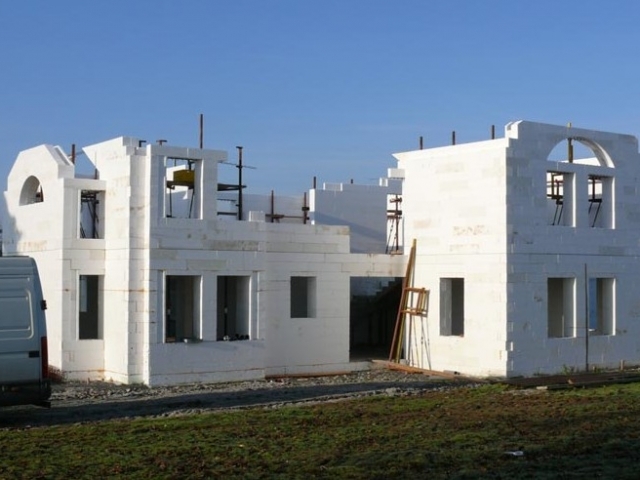 Project size: two storey custom Rhodipor Ecobuild ICF home and garage. 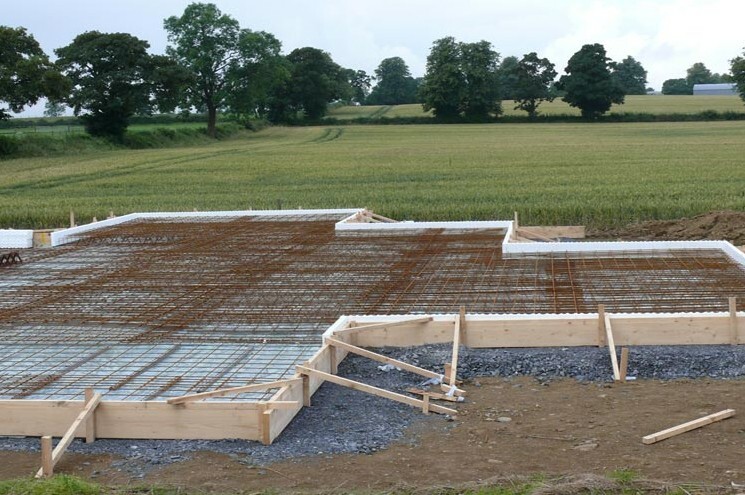 Delivery route: full construction service from foundation level to completion. 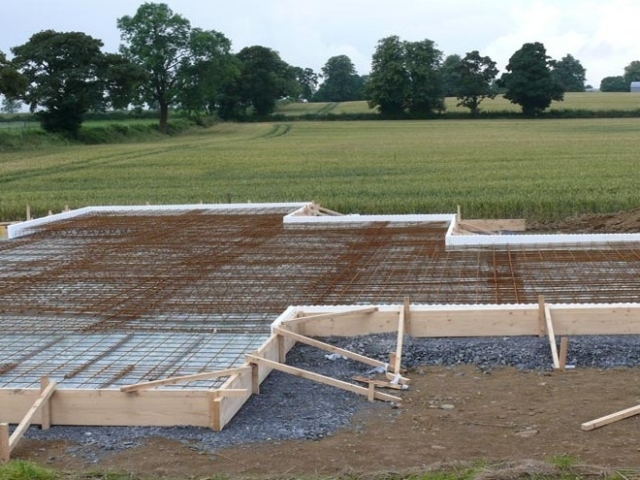 Floors: solid concrete ground floor, precast concrete planks to all other floors. 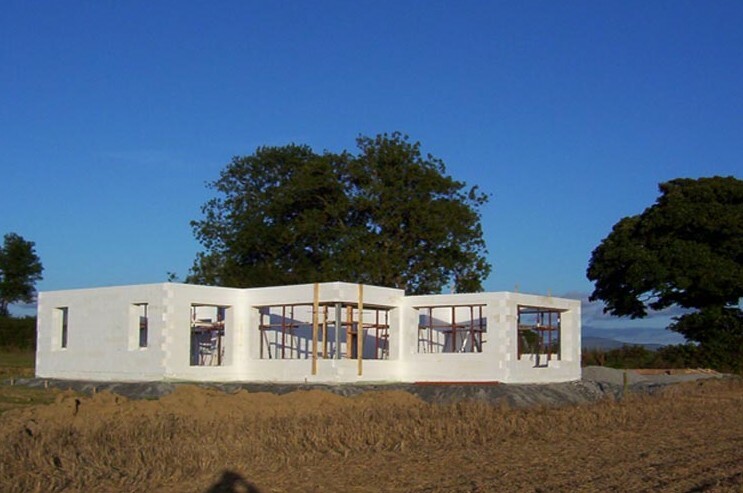 Finish: render applied directly to the external surface. 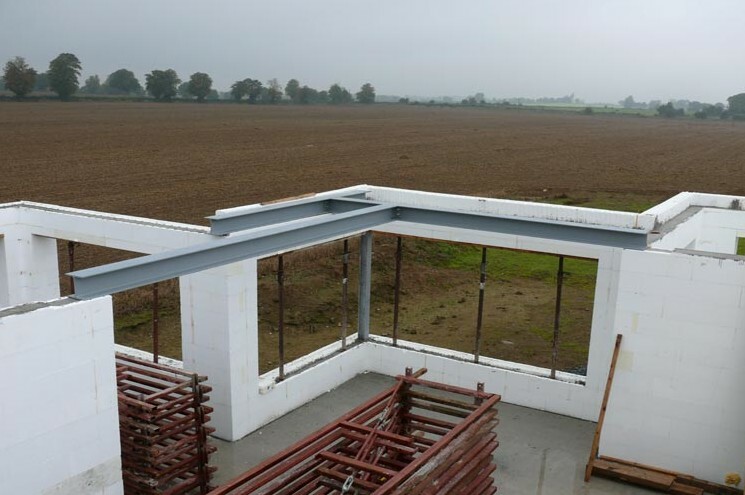 Roof: traditional cut roof on purlins. 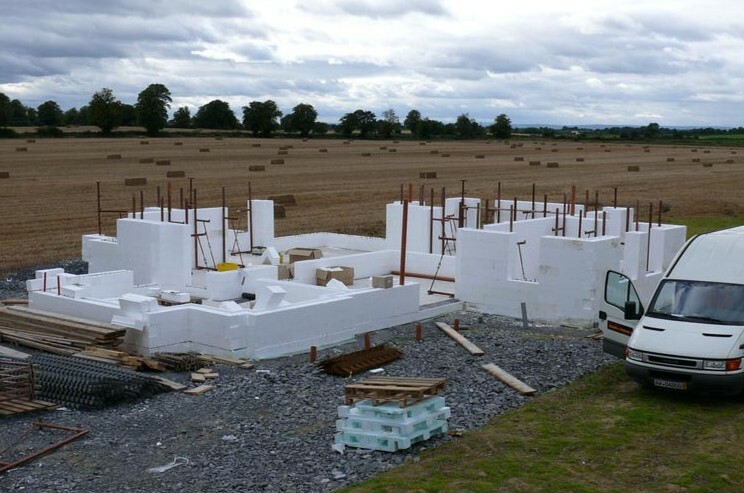 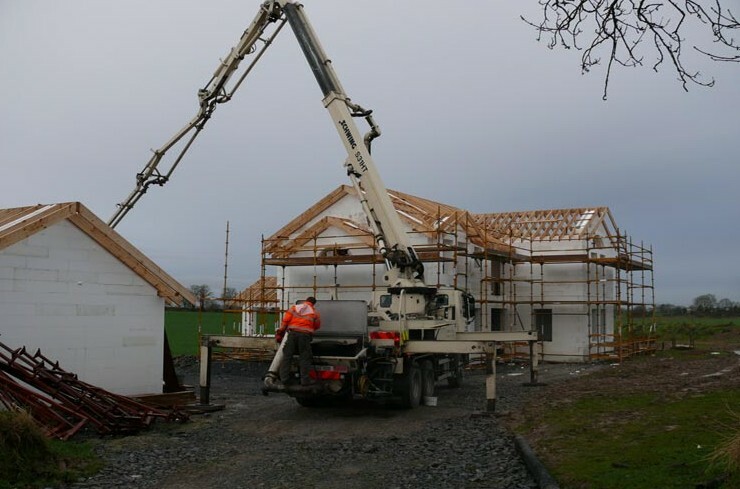 This custom home located in Gowran Ireland constructed by an approved installer on initial inspection appears complicated to build. 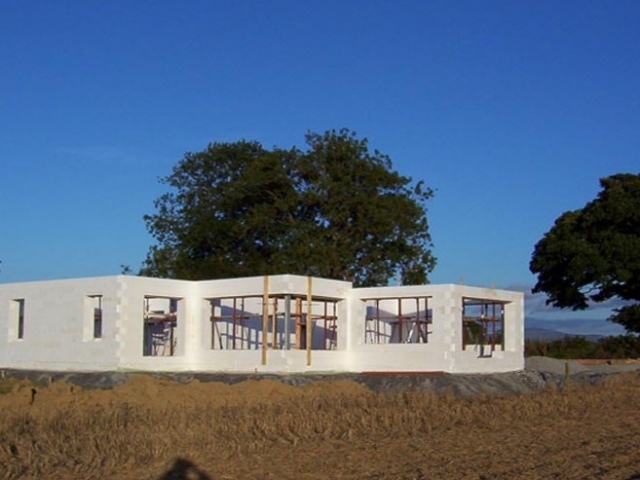 With stepped elevations, curved and dual aspect corner windows but such complexity lends itself to the Rhodipor Ecobuild ICF system. 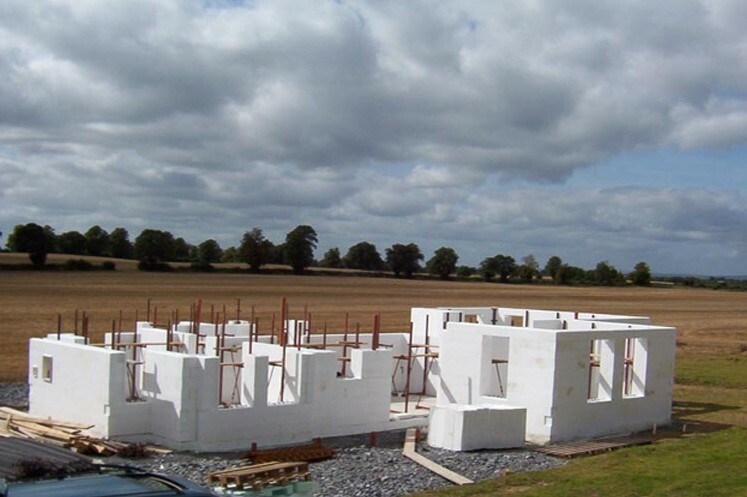 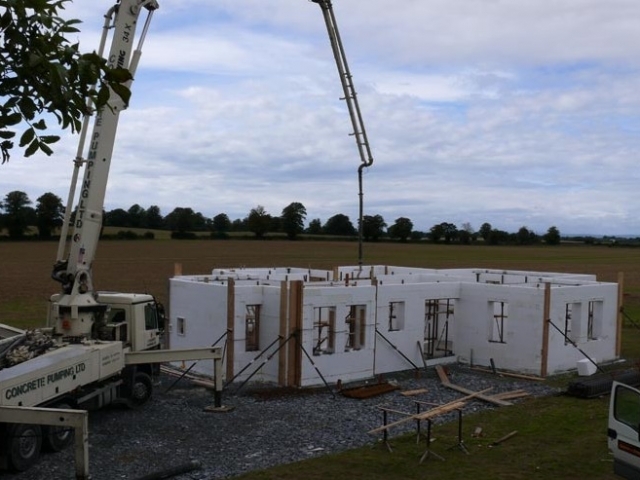 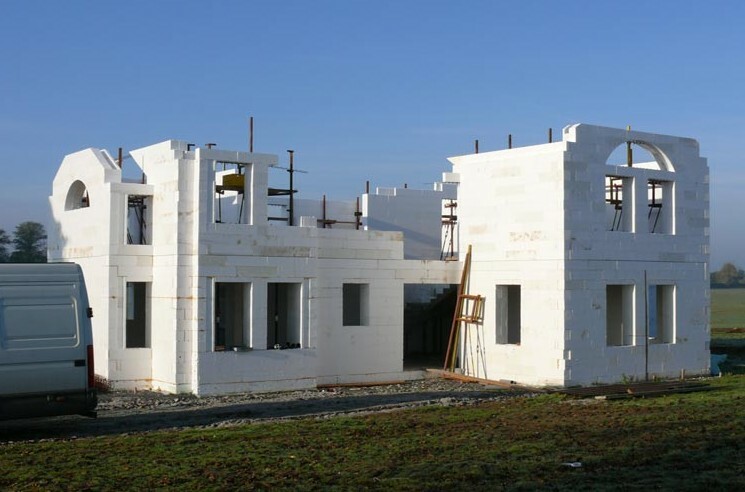 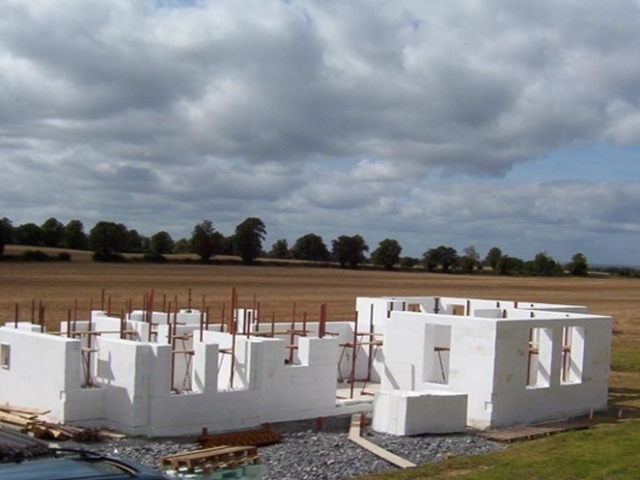 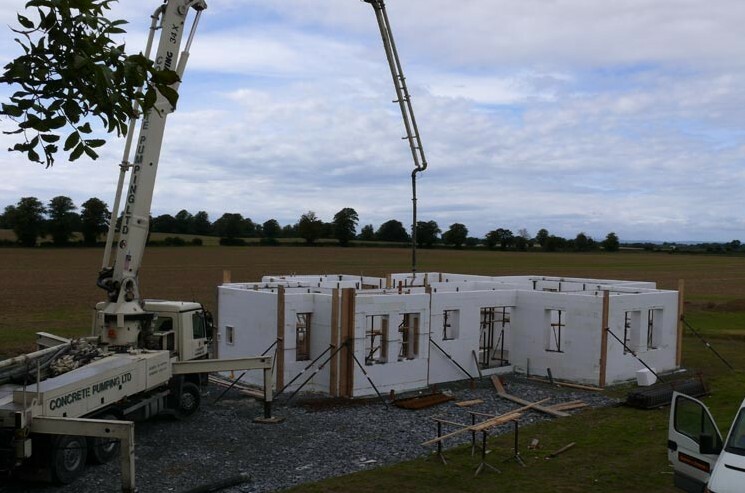 Assembled on a concrete raft, the foundation is a change from that of a traditional strip foundation and compliments the simplicity of the ICF. 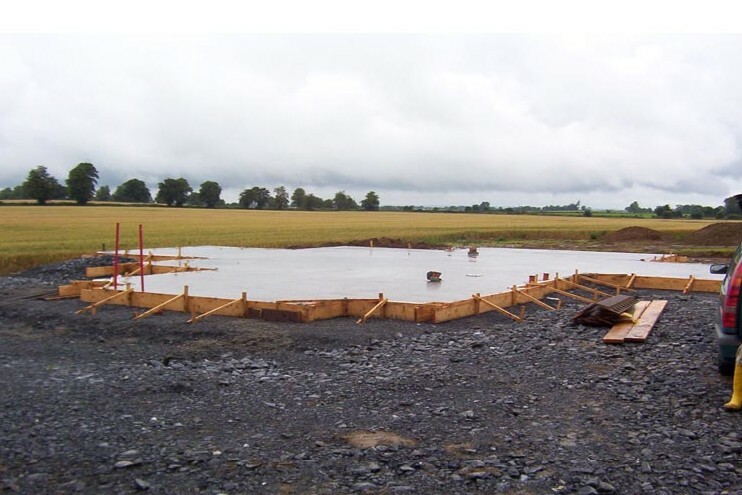 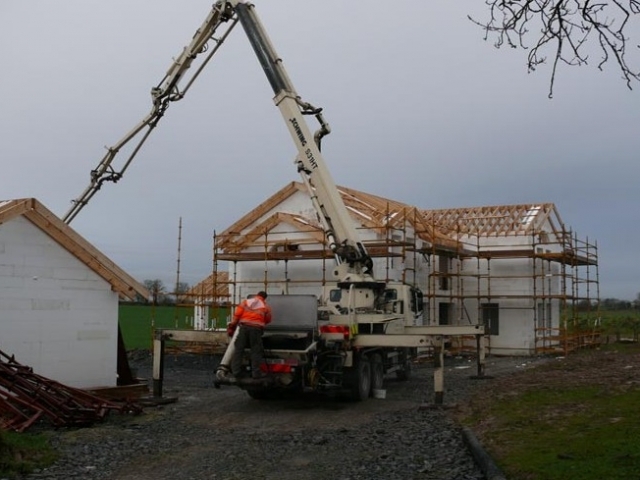 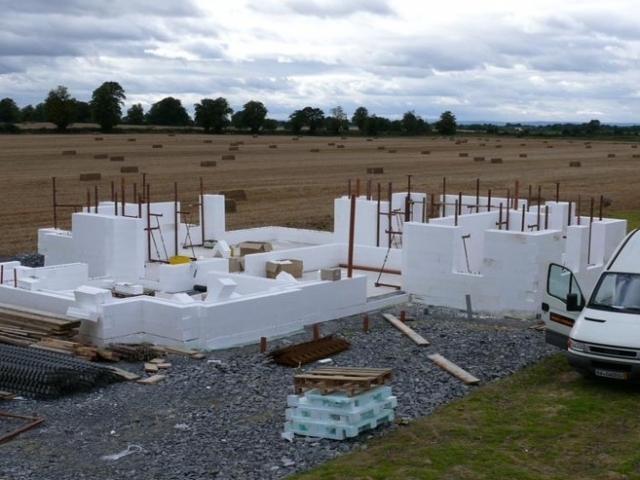 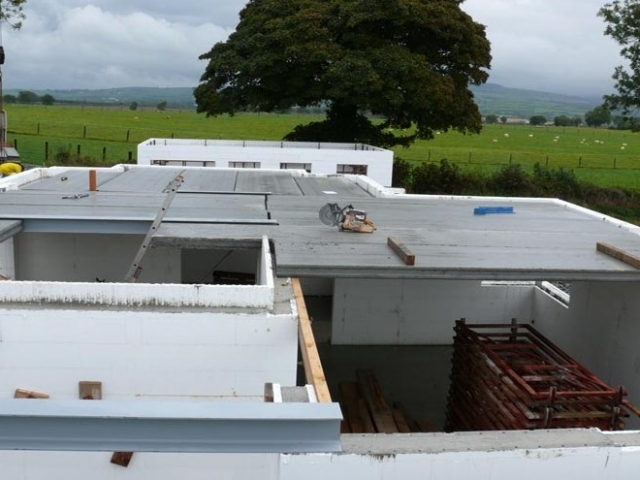 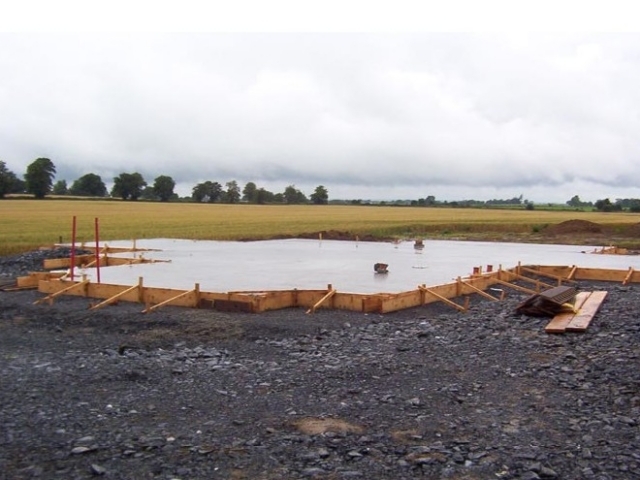 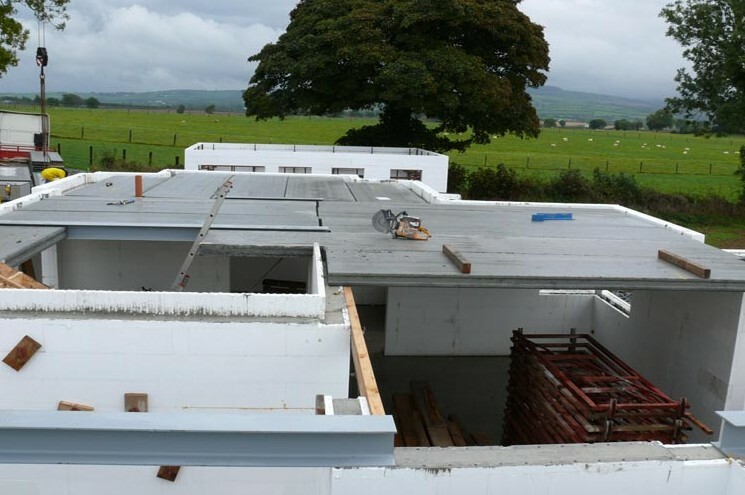 Reviewing many of the common foundation systems sold to achieve a pasivhaus floor slab these is constructed in the similar style, and Rhodipor Ecobuild ICF is used in conjunction with ninety-nine percent of these. 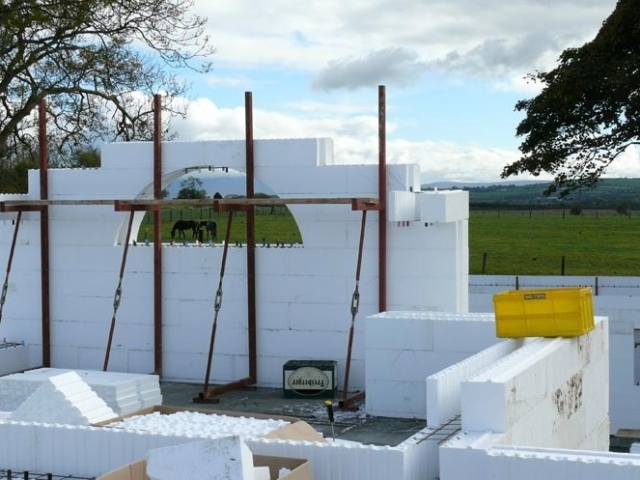 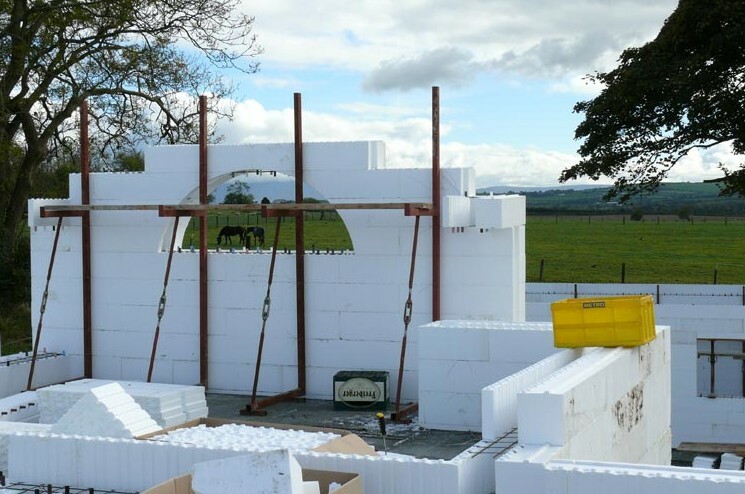 To curved window locations the internal and external sides of polystyrene can be cut and braced to the underside with timber boarding as per a standard opening. 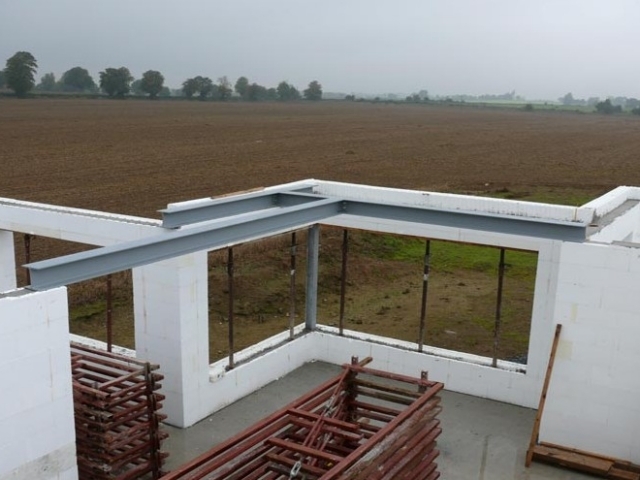 Dual-sided windows can be formed with bars laid within the forms before pouring concrete, but this is strictly dependant on an engineer’s design. 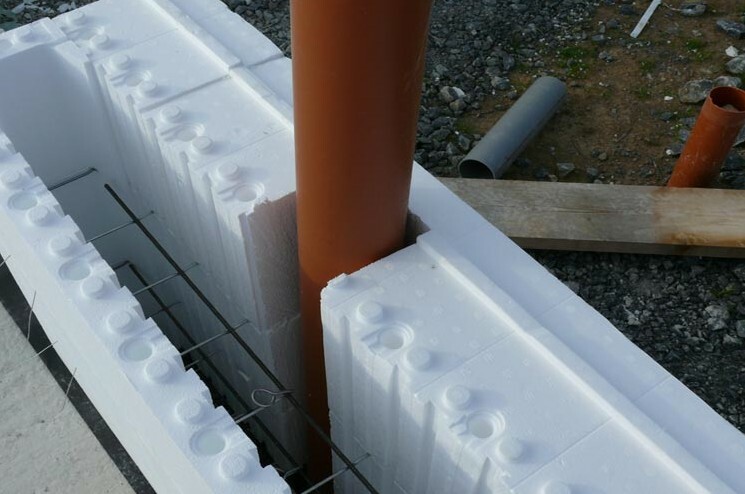 An alternative approach is to allow for an ‘SHS’ post affixed to the concrete core at the base and interlinked with steel bars in the forms over. 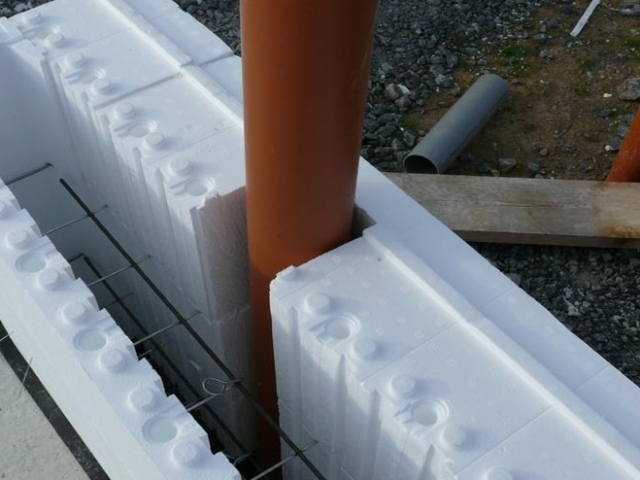 Structurally the bars create an in-situ concrete lintel.